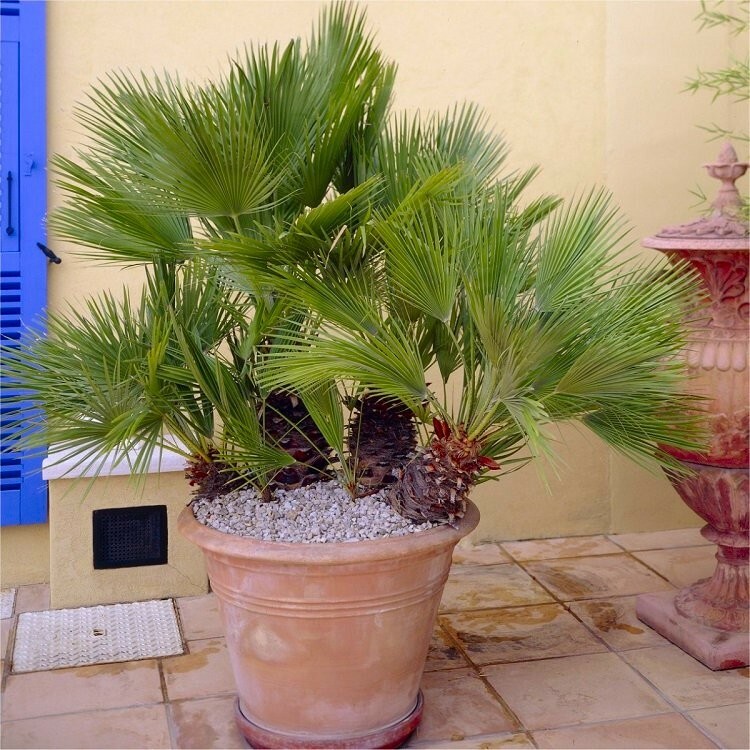 A MEDITERANEAN PALM OFTEN SEEN GROWING ALONG THE ROADSIDE ON THE FRENCH AND ITALIAN RIVIERA. IDEAL FOR GIVING THAT SOUTH OF FRANCE FEEL WITHOUT LEAVING HOME! 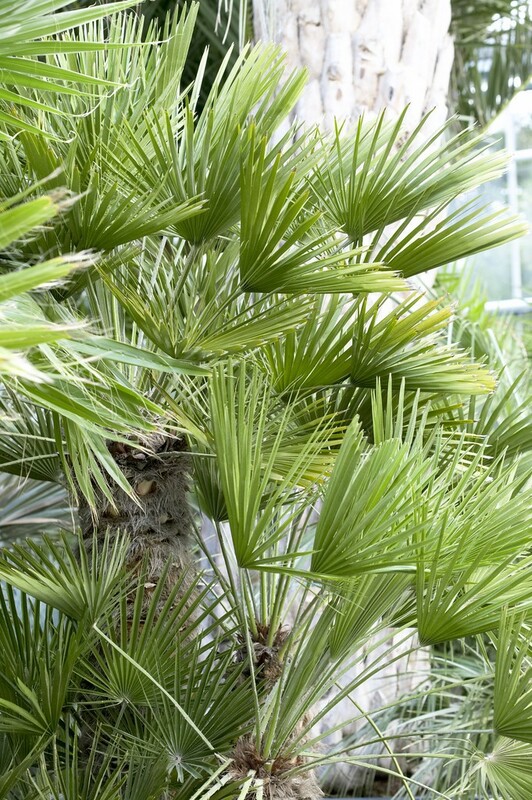 OFTEN CONFUSED WITH TRACHYCARPUS FORTUNEI WHICH IS LESS HARDY. 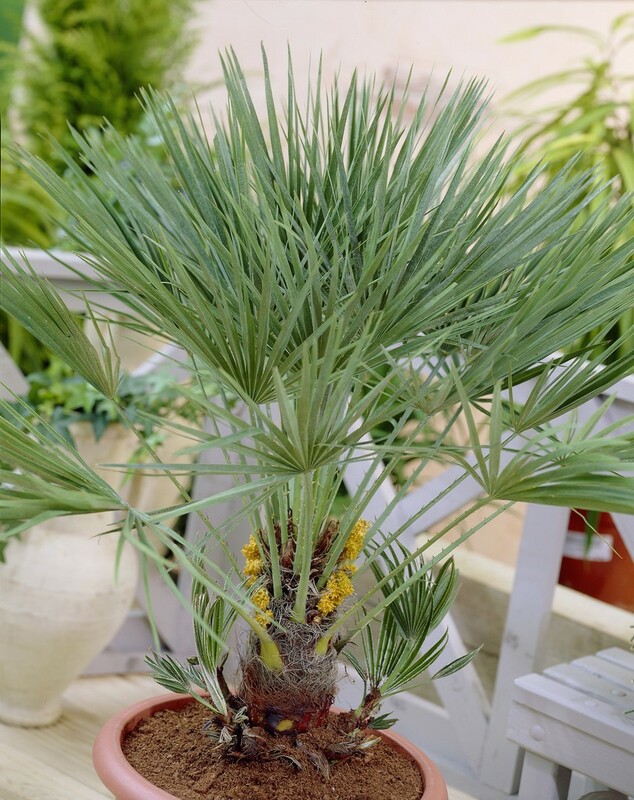 THIS PLANT PRODUCES BABIES WHICH GROW INTO A MULTI-STEM PLANT MAKING IT BUSHIER THAN THE TRACHYCARPUS. FULLY HARDY (TO -13'c), GENERALLY GROWING TO AROUND 2 METERS TALL IN THE UK. A TRUELY ARCHITECTURAL PLANT FOR YOUR COLLECTION. IDEAL IN A POT TO GRACE THE PATIO OR DECK. SHOW OFF TO YOUR FRIENDS AT YOUR NEXT BARBECUE!!! ALSO IDEAL AS A HOUSE PLANT. STRONG PLANTS SUPPLIED IN APPROX 5-7.5 LITRE CONTAINERS AT AN OVERALL HEIGHT OF AROUND 80-90CMS TALL.